Didn’t get quite what you wanted for the holidays? It happens. Well, let’s talk about something you probably wanted, but didn’t get. In fact, you even have a chance to win a pair at the bottom of this review. When you travel, you already have a bunch of stuff to contend with. Having another thing to get tangled up in is not really on the top of my list, and probably not yours either, right? 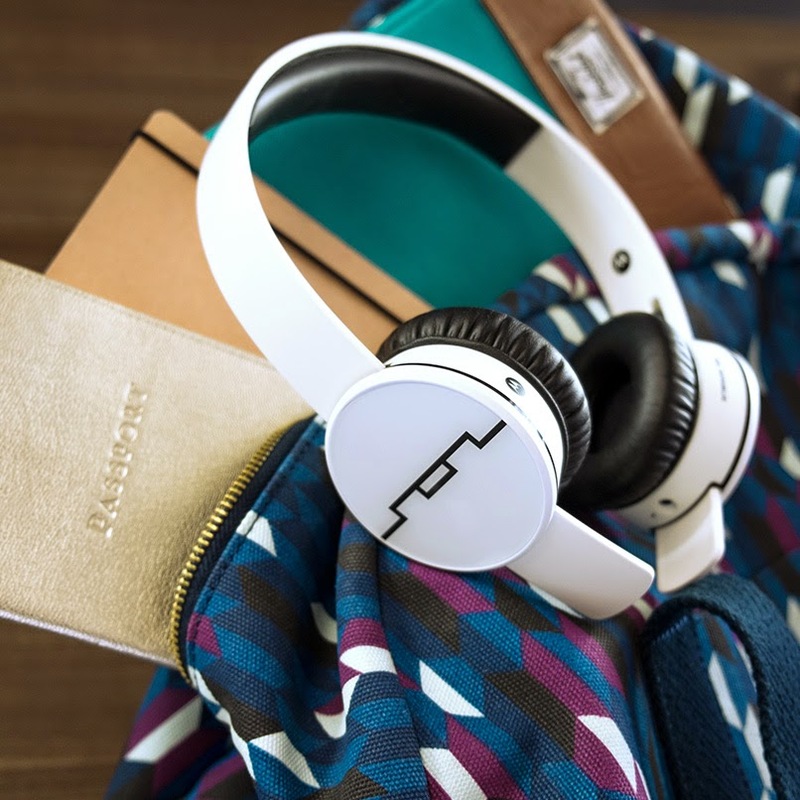 Sol Republic and Motorola have teamed up to create the sleek Tracks Air headphones that are wireless, customizable and won’t be another thing to choke you when you’re just trying to get from one gate to another or move out of the way when your seatmate needs to get to go to the bathroom on the plane. I often travel with a pair of earbuds that I can slip into my pocket, but somehow they get all jumbled up when I haven’t even used them and I end up having to detangle them before I can even plug them in and use them. Also, they end up getting lost in my cardigan or scarf and then falling out of my ear while I try to get more comfortable or get my book out of my bag. Is this a problem for you, too? Well, now there’s something better. 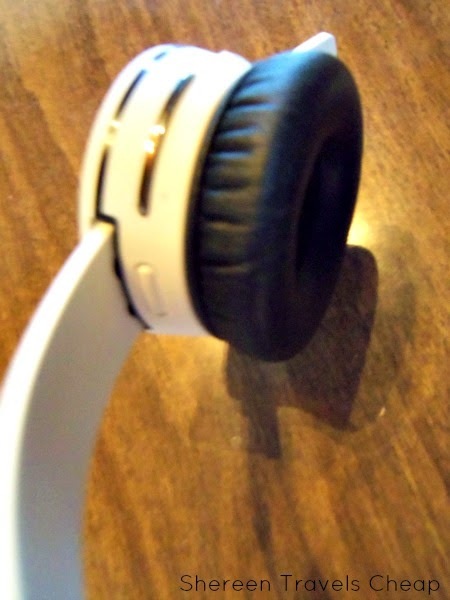 Not only do the Tracks Air headphones work via Bluetooth (no pesky cord to get in the way of everything), but they are also noise-isolating, so if you just want to be in your own little bubble, these make it crazy easy. Tune out that loud talker behind you, or the little kid playing his handheld game on full volume and watch a video, listen to a book or just zone out to music. What makes them even cooler is they can be adjusted to any size head. 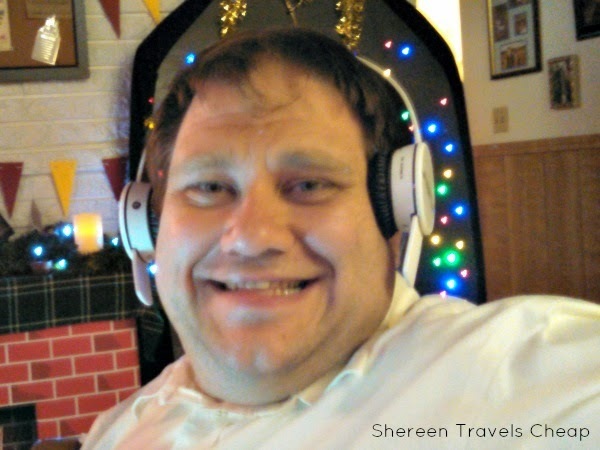 I’ll tell you how many over-ear headphones have fit my head: zero. It’s true. I guess my head is not normal size, because even on the smallest size, they have never fit comfortably on my ears or my head, which is why I’ve had to deal with earbuds in the first place. The Tracks Air easily fit myself and my husband with just a bit of adjustment. The padded speaker pads are super comfortable and keep the headphones from sitting right on your ears, too, which is another thing that always bothered me about other headphones. 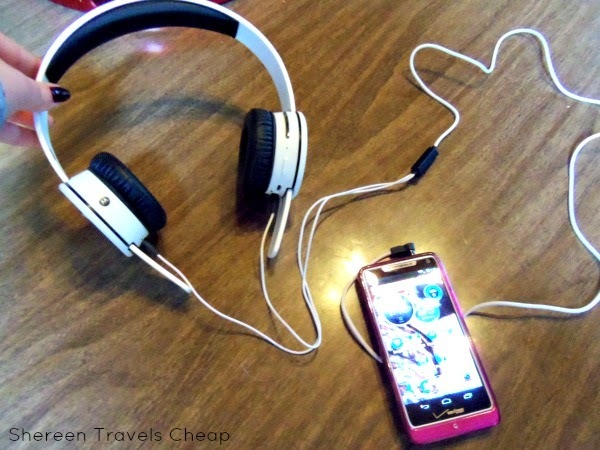 So, not only do these not have wires to get in your way when you travel and have a bunch of other stuff to contend with, it also means that your iPod, iPad or phone can be in your back pocket or inside your bag and out of the way and you can still listen to your tunes or audio book. 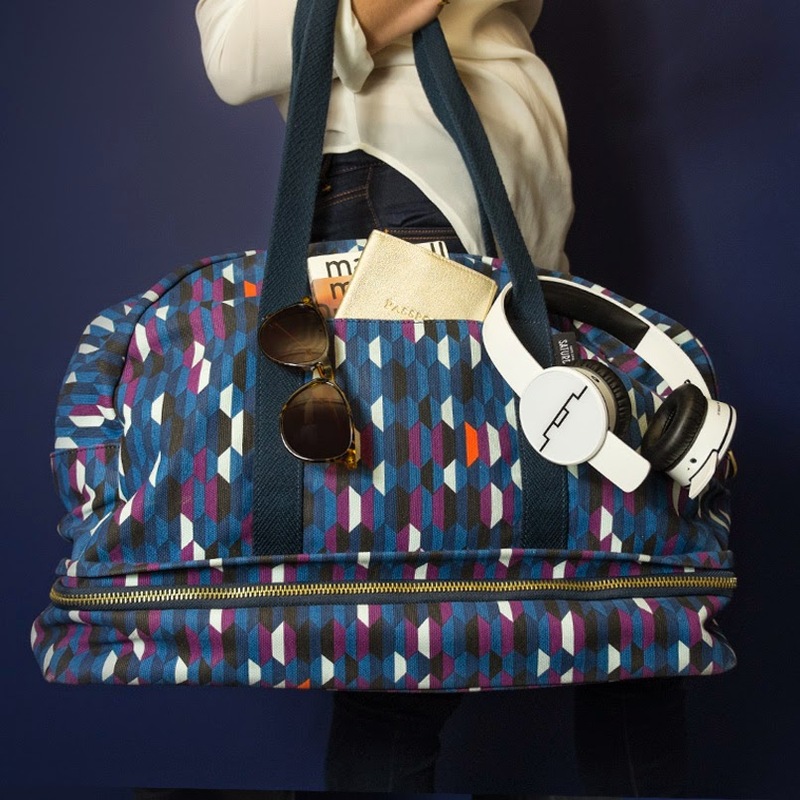 The Tracks Air have a nice carrying bag, so you can keep them clean and undamaged when you’re not using them. The powertracks are interchangeable, which means you can add them onto a different headband to make them look totally different and unique to you. What if you have a long international flight? 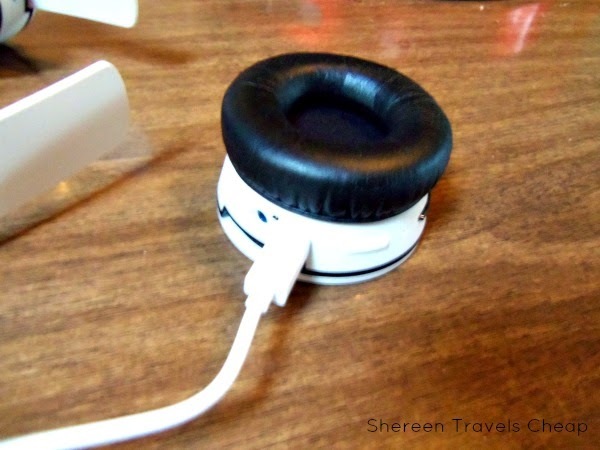 No problem, because these headphones can last up to 15 hours on a single charge (and they charge really quickly), but if they run out, you have the choice of using a plug to keep you connected. Know exactly how much play time you have left. Once you connect up, it tells you how much battery life is remaining, so you’re never in the dark. Everything you need is located on the one headphone, from track control and volume, but also the power button and connectability to multiple devices. Listen to your music and then easily take a phone call at the same time. Need to call home while you’re away? Do so with or without the cord, as the Air Tracks have a built-in microphone. Just hit Play and make/take the call as usual, but hands- an cord-free. When we tested the phone connection out, the sound was really high quality. The same as when we used it to listen to music via Bluetooth from a phone. Sol Republic claims that they have 5 times the range as other wireless headphones (150’! ), so I left the phone in the bedroom and wandered around the rest of the house with no loss of sound or quality. I even wore them out in the backyard with no problems. The sound was crisp and clear. I dare say that if you wanted, you could probably leave your device at your plane seat and wear these to the restroom. Or leave your bags and stuff with your travel partner and head across the aisle from your airport gate to get a magazine or last-minute snack without missing a beat of your favorite song. 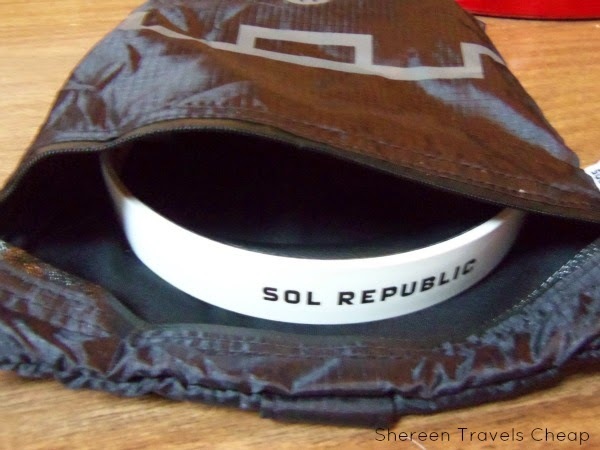 Even though Sol Republic says the Tracks Air are virtually indestructible, they have a 1-year warranty plus a 100-day money back guarantee. If you aren’t 100% happy with your purchase, return them for your money back within 100 days. That’s more than three months of wireless goodness with no permanent commitment if you decide they aren’t for you, but I’m pretty sure that once you try them, you’re going to be hooked. 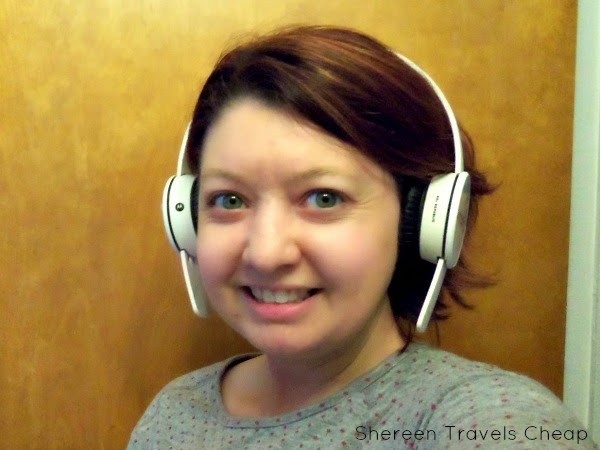 Disclaimer: The Sol Republic Air Tracks were sent to me for the purposes of this review, but all opinions are 100% my own (and my husband's).